At this point, it’s seemingly useless to criticize Facebook Inc (NASDAQ:FB). Just prior to its storied initial public offering, I mocked the investment potential of FB stock. I viewed it as a platform for trendy Millennials and the hopelessly narcissistic. Seeing no fundamental value, I viewed FB like I view Snap Inc (NYSE:SNAP) today: completely pointless. Needless to say, I was wrong, dead wrong. Following a sharp dip after the hoopla over the IPO ended, the FB stock price entered into a more than year-long consolidation phase. But since the late summer of 2013, it’s been nothing but blue skies for Facebook. Contrarians typically view such dynamics as an opportunity to go the opposite direction; so far, FB has defied that concept. Indeed, long-term investors have been wise to avoid listening to the naysayers. Facebook has answered most of the criticisms it has faced, including its sales and earnings growth potential. Furthermore, the FB stock price is backed by the ultimate fundamental catalyst: no other social media platform has two billion monthly active users (MAUs). Better yet, the competition doesn’t come close. President Trump’s favorite platform, Twitter Inc (NYSE:TWTR), averages around 330 million MAUs, despite the White House’s seal of approval. The fundamentally more useful LinkedIn that Microsoft Corporation (NASDAQ:MSFT) acquired, claims more than 500 million. In addition, LinkedIn is featured in more than 200 countries listing more than 10 million active job postings. Impressive, certainly, but it’s roughly a quarter of Facebook’s coverage. That’s the real, awe-striking power of the company, and subsequently, of FB stock. Still, it’s fair to ask questions about the company’s remarkable rise in the markets. The first item on the agenda is the FB stock price. Its rapidly approaching 55% year-to-date returns, which would make it the second-biggest annual haul in Facebook’s history. That figure might be surprising to people due to Facebook’s inclusion among the high-flying “FANG” stocks, which also consist of Amazon.com, Inc. (NASDAQ:AMZN), Netflix, Inc. (NASDAQ:NFLX), and Alphabet Inc (NASDAQ:GOOG,NASDAQ:GOOGL). But when you look at the raw numbers, FB stock doesn’t have the most impressive history. In its maiden year, the FB stock price gave up 30%. In the following year in 2013, shares rebounded strongly with a 95% return. Investors have enjoyed double-digit returns every year since, but curiously, the profitability magnitude has declined. The year 2014 saw approximately 43% returns, then 33% and 13%. The lack of truly outstanding market growth makes you question how far Facebook can go. For instance, InvestorPlace contributor Richard Saintvilus forecasted earlier this year that the FB stock price will hit $170 by 2017-end. He was right on the money. Now, he’s dismissing “peak Facebook” criticisms, and has upped his target to $200. However, from where we currently stand, that’s only a 12% gain. I think most people have my mindset when it comes to momentum trading: if I have to buy high, I want some confidence that I can sell much higher. An implied 12% reward doesn’t really get my juices flowing. 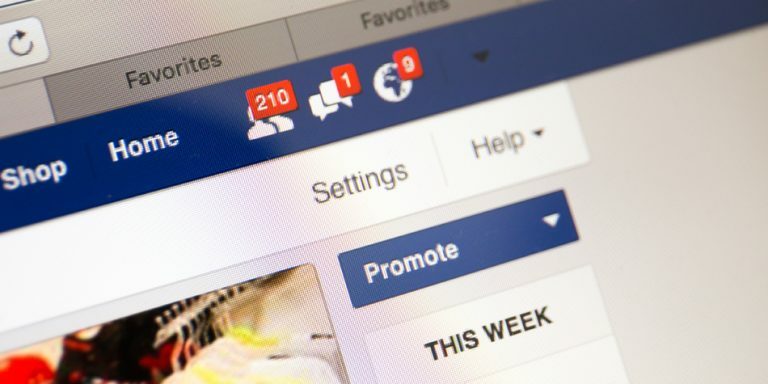 Our own Dana Blankenhorn noted the dark and seedy side of the Facebook platform; more specifically, that deranged individuals broadcast their horrifying actions using the company’s social media programs. I personally believe that Facebook abuses have reached a crisis point, and must be addressed; this will, of course, cost money. While FB has its problems, as an investment, it still has potential. Primarily, the company dominates all things social media and this trend will likely become more pronounced. Snapchat and others stand no chance. Second, while the law of large numbers that Blankenhorn referenced will stymie upside growth rates, it also promotes stability. The critics are correct: with only seven billion people on Earth, and with major countries either blocking it or ignoring, growth opportunities are slim. At the same time, Facebook is too big to fail. The social media network is no longer just a fad for the young, it’s a bona fide ecosystem. This segues into my final argument. If Saintvilus is found correct once again, investors who buy into FB stock now will only achieve modest gains. But, they’re doing so at limited risk. Aside from them being a massive, unavoidable entity, management is busy working new angles and business ventures. There’s no such thing as a sure thing, but FB comes close. Article printed from InvestorPlace Media, https://investorplace.com/2017/11/fb-stock-deliver-value/.